The BBE China International Block and Brick Industry Exhibition in Guangzhou is an international exhibition for block, bricks and building accessories. It offers its exhibitors the opportunity to attract new customers, strengthen relationships with their existing customers to gain an overview of the market and competitors as well as present their companies in three different countries. This exhibition is therefore communication and information platform in the industry and offers the exhibiting companies the opportunity to present themselves to a professional audience. Visitors can find in depth and comprehensive information on the latest trends and products in the industry. 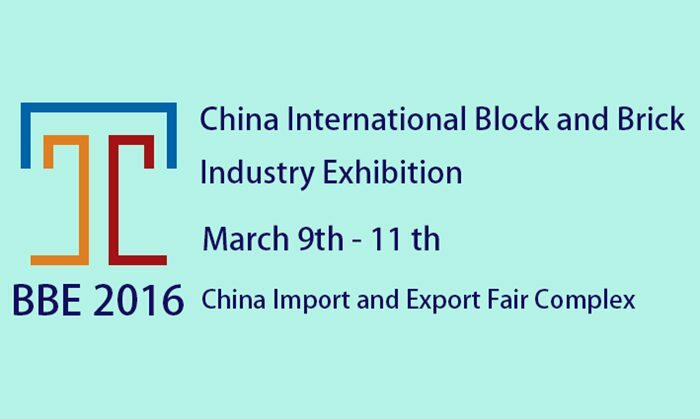 The BBE China International Block and Brick Industry Exhibition will take place on 3 days from Wednesday, 09. March to Friday, 11. March 2016 in China Import and Export Fair Complex,Guangzhou,China.